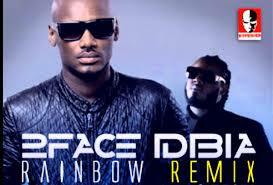 Nigeria’s most famous musician 2Face Idibia has premiered his latest video “Rainbow” featuring T-Pain. The song is a remix to Idibia’s popular single, which is off his 2012 album “Away & Beyond”. Watch/Download and do not forget to drop your comments.